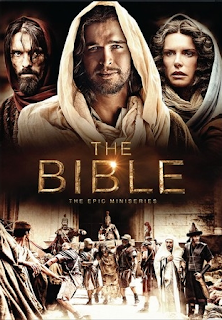 The Bible series has been creating buzz over the net from the time it has been started on History Channel. This television mini-series, produced by Roma Downey and Mark Burnett, which is based on the Bible. It began March 3, 2013, airing weekly in prime time on the channel History, culminating on March 31. This series will tell some of the best-known stories from the most popular book in human history, from Noah's Ark and the Exodus to Daniel in the Lion's Den to the crucifixion and resurrection of Jesus. This mini Series is now going to be on blue ray DVD and is going to be released on April 2nd 2013. It has been the most popular show on television watched by over 70 million viewers. Same time it has been constantly in the news with many controversies. 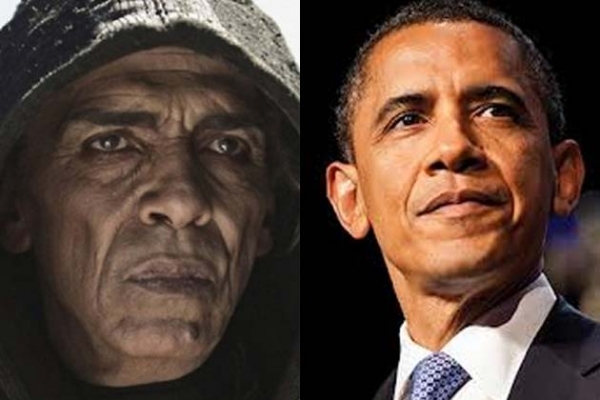 One of the recent controversy this epic mini series has been accused of is regarding the casting of satan who is a look alike of Barack Obama. The producers have said the following when the internet flooded with the news of the actor who played satan (Mohamen Mehdi Ouazanni) resembles President Barack Obama. Both Mark and I have nothing but respect and love our President, who is a fellow Christian. False statements such as these are just designed as a foolish distraction to try and discredit the beauty of the story of the Bible," according to a statement from Downey. This is utter nonsense. The actor who played Satan, Mehdi Ouazanni, is a highly acclaimed Moroccan actor. He has previously played parts in several Biblical epics – including Satanic characters long before Barack Obama was elected as our President. History channel has the highest respect for President Obama. The series was produced with an international and diverse cast of respected actors. It's unfortunate that anyone made this false connection. 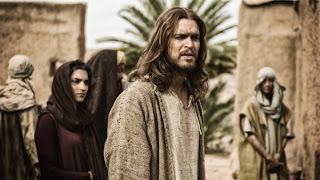 History's 'The Bible' is meant to enlighten people on its rich stories and deep history," the network said Monday following the episode. Samson who was one of the judge for Israel is actually from the tribe of Dan purely an Israel tribe. Actual Jews are not black skinned people but are fair people. 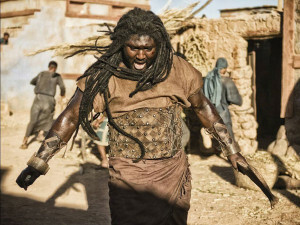 People who watched the second episode were astonished to see the role of Samson being played by a dark complexion person. Some of the top websites like yahoo answers, IMDB were flooded with discussions over the character of Samson shown in the mini Bible episode. They began to ask whether Samson of Bible was a dark complexion person? There were also some humorous comments stating that will Jesus be portrayed as white and so on. Anyhow the role played by Nonso Anozie as Samson in this series had got lot of appreciation. Playing the role is Jesus and doing it justice is clearly an impossible task, seeing how he was fully God and fully human and being a sinless man (which no one else is). But with that said, as closely as a man can get to portraying Jesus on screen, Diogo Morgado, has done a mesmerizing job so far. "A lot of prayers went into finding Diogo". "We needed both a lion and a lamb, an actor who was charismatic and physically strong yet humble and gentle." She and Burnett were impressed with Morgado's audition video, and a meeting was quickly set. "When we saw him walking up the pathway to our house, we knew we'd found our Jesus," Downey says. "Most young actors today have a swagger. Diogo has a wonderful humility, a stillness. He is the heartbeat of our piece." Now this popular mini Bible series is going to be out as a DVD and Blue Ray DVD format which can be pre ordered and will be dispatched to you as soon as the product is released. This series is going to telecast their last episode on Easter i.e on 31st March and DVD is going to be available from April 2nd 2013 onwards.